Americans did not invent the rocking chair, though this style of chair has become associated with American culture. The Boston rocker, the Lincoln rocker and the Shaker rocker are all products of American manufacture, but it is the Swedish Gungstol that preceded these, along with the British Windsor rocker. Before even the Gungstol, though, carpenters were commissioned to set curved rails onto the legs of chairs to give the chair a rocking motion. First produced in Sweden in 1740, the Gungstol rocker has six legs, three to each side, inserted into rails. The back two legs were at an angle from the seat of the chair that may have allowed for some serious rocking. With the extended legs and rails, the occupant may have been able to push off with some force without endangerment of tipping. The six-legged chairs were produced until 1870; the Gungstol made in the now familiar four-legged form was manufactured until 1900. The Windsor rocker, named for Windsor Castle, was first produced in England in the early 1700s, barely preceding the Gungstol. Originally used as garden furniture, the Windsor is most notable for its bowed back frame and spindles, and its splayed legs. American manufacturers produced their own versions of the Windsor. The rounded back with spindles is still seen today. The comb Windsor is a high-backed version of the original, though the legs are less splayed. The Boston rocker was the first rocking chair to be mass-produced and was introduced to the public in 1825. Designed by Lambert Hitchcock, the Boston rocker has a high back with spindles, curved arms and a wide seat with a curved front. The Boston rocker could be considered the first true American rocker, as it was designed by an American and manufactured in the United States. The Lincoln rocker is actually a Grecian rocker. 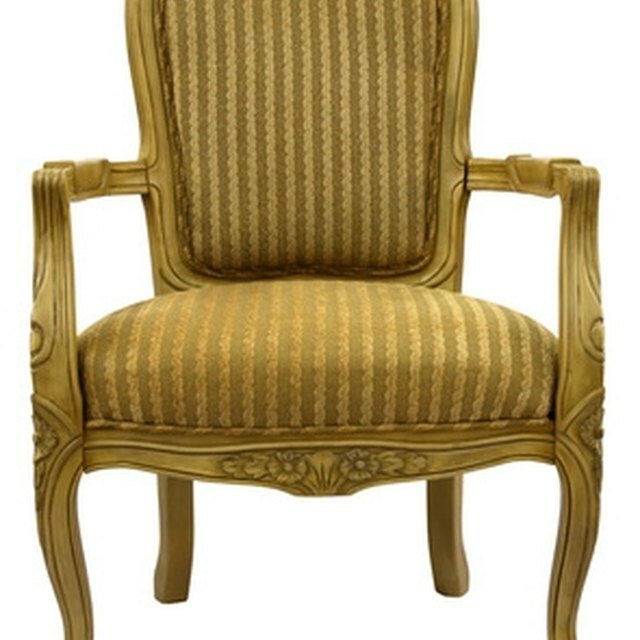 It is an upholstered rocker with Empire design characteristics such as fluted arms and turned legs. It was a contemporary of the Boston rocker. President Lincoln was tired on that ill-fated night he and his wife visited Ford's Theatre. A Grecian rocker was brought so he could be more comfortable. It wasn't until the early 1900s, though, that antique dealers began using the term Lincoln rocker to describe the ornate and formal style of rocking chair. The Shakers produced rockers that were as simple in design and clean of line as their other furnishings. The earliest Shaker rockers were made in the early 19th century and members made them to suit individual sizes, though the design remained the same. The Shaker rocker has a ladder-back and a woven seat. This design remains essentially the same into the 21st century.